Photo courtesy of Pittsburgh International Airport. Sunoco has reopened its APlus fueling station at Pittsburgh International Airport. The public-access station now features compressed natural gas (CNG) fueling, propane autogas fueling, and electric vehicle charging stations, according to the Allegheny County Airport Authority (ACAA), which operates Pittsburgh’s airport. 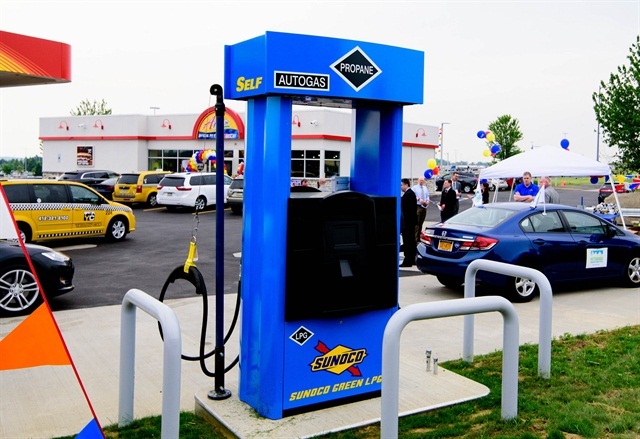 This is Sunoco’s second CNG station and first propane autogas station in Pennsylvania, the ACAA added. The station, which had been closed for remodeling since April 6, also features new gasoline dispensers and additional diesel fueling positions.